I’ve just been told that Thorntons are running a special offer promotion. Get a free box of Christmas selection chocolates when you spend £20 with the code XMASBOX. so thought I’d do a very quick post to let you know. To get access to this special offer you will need to enter voucher code XMASBOX at checkout. Free box offers are subject to stock availability. Thorntons reserves the right to withdraw a free box offer at any time. 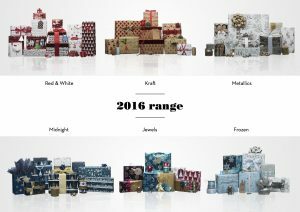 Thorntons reserves the right to offer an alternative box of equivalent or greater value in the event of stock unavailability. As well as stocking a range of favourites, like our Continental Chocolates, you can even have a message iced onto chocolates with their Alphabet Truffles. These days you can even upload a favourite photo onto a box, choose your favourite Thorntons chocolates and have them delivered directly to someone as a brilliant….and hassle-free gift. One of the main attractions for shopping in Waitrose, apart from the wonderful food, is the free coffee and newspaper. 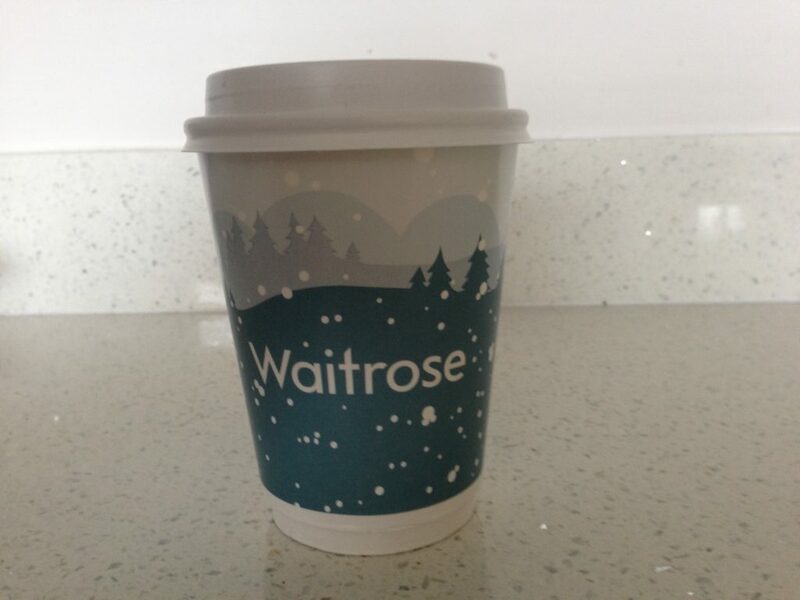 As I am incredibly dedicated to all things Christmas, I was delighted to see that Waitrose takeaway cups have been given the yearly Christmas makeover. This together with my Christmas paper and tags purchase made me feel very Christmasy indeed. 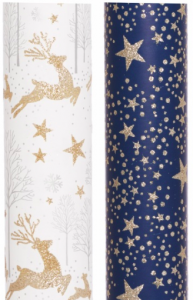 Even if it is bit early to be purchasing Christmas Wrapping paper, I need to do this when the children are not with my unless I face a forensic line of questioning as to why I am buying Christmas wrapping paper as it is most definitely Father Christmas who should be doing that! This kind of questioning can last for a very long time and throws up a host of other questions such as ‘How does Father Christmas fit down our Chimney?’ ‘He won’t really go into our bedrooms with our stockings, will he?’ and ‘Why does Father Christmas Drink all the drink left out for him and eat the mince pie but Rudolph leaves his carrot?’ This is really like putting Mummy in the dock and seeing when she cracks! Now all I need to do is find a place to hide the wrapping paper and remind Rudolph that carrots are good for him.